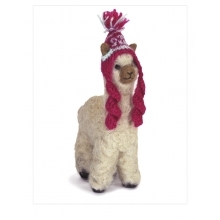 Hand knit custom Mini Knit Chullo hat for your needle felted alpaca. 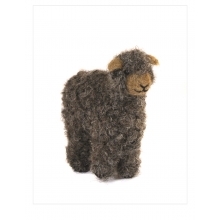 Fits all of our 4 inch mecha huacaya and suri alpacas. 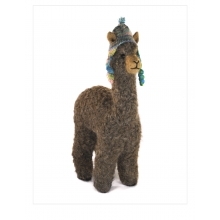 This piece even has the little ear holes for your alpaca's ears. 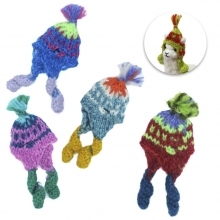 Colors are natural and vibrantly dyed. 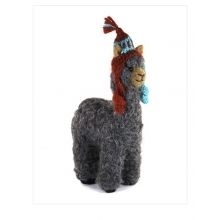 They enhance the rich colors of the alpaca sculptures and make them even cuter. 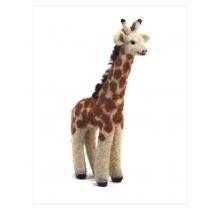 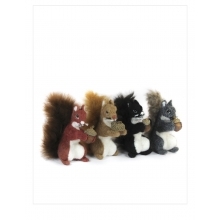 Mini chullos come in assorted colors, and are available for purchase with your LANART needle felted alpacas.